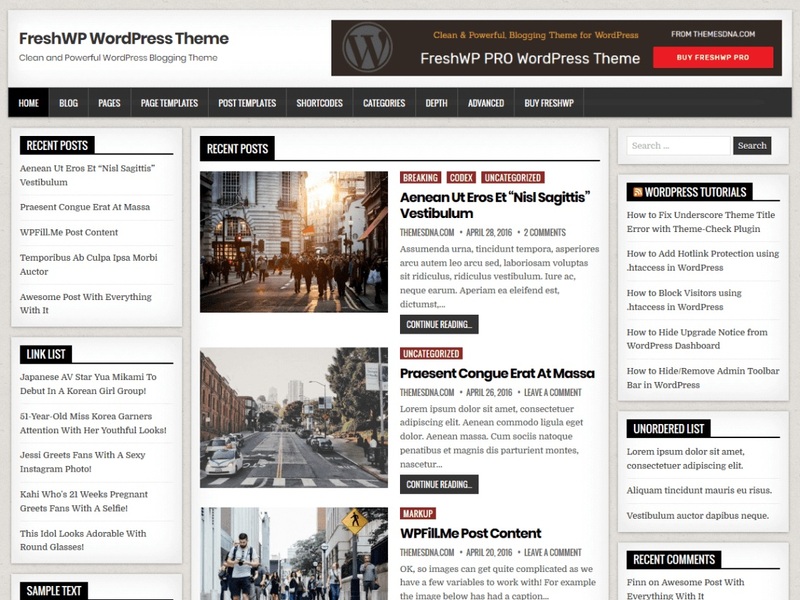 FreshWP is clean and elegant, easy to use, 100% responsive, 3 columns blogging theme for WordPress. 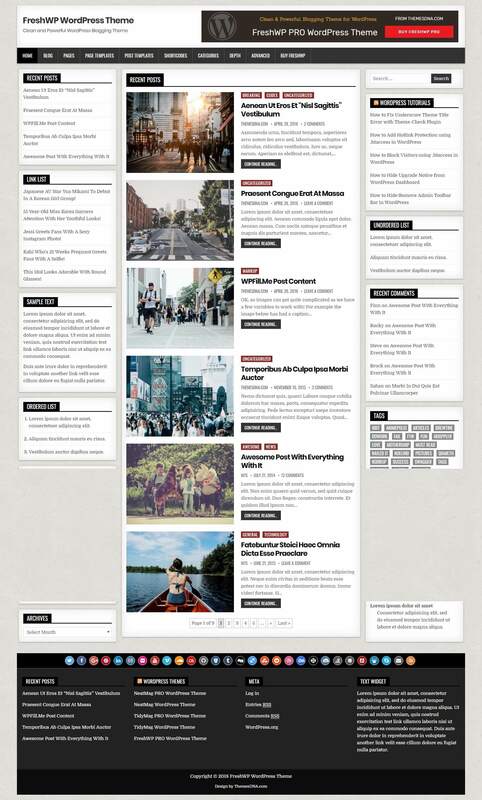 It has theme options to customize various aspects of the theme and has clean post summaries, full-width layout for posts/pages, sticky menu and sidebars, header widget, left and right sidebars, 4 columns footer, social buttons, scroll-to-top button and more. With FreshWP PRO version you can get any color and font options, 8 different post styles, 8 featured posts widgets, tabbed widget and more widgets, 10+ layout options, 10+ custom page templates, 10+ custom post templates, header layouts, social/share buttons, related posts and more features.